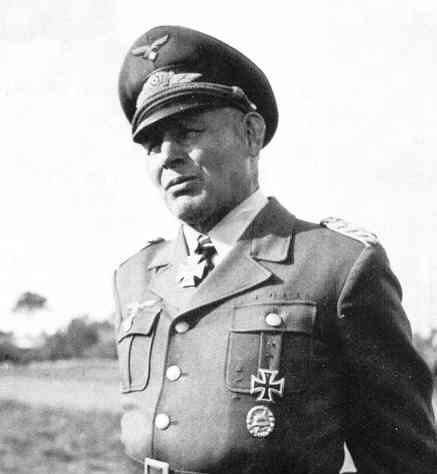 In the summer of 1942, German Luftwaffe Maj. Gen. Hermann-Bernhard Ramcke, an experienced parachute commander, was on attached duty with the Italian Folgore parachute division. Across the Mediterranean, newly-promoted Field Marshal Erwin Rommel’s German-Italian Panzer Army had reached El Alamein in western Egypt where its advance ground to a halt. Rommel complained that his army needed both more supplies and more German troops to capture the Nile Delta and Suez Canal. In particular, he claimed, he had to have two more panzer divisions. Rommel’s Italian superiors did not have such formations at hand, nor any prospect of acquiring them. They did, however, agree to send more troops. Italian policy had been to send smaller numbers of soldiers, in units of higher quality armed with more automatic weapons than had been the case in 1941 and early 1942. Accordingly, they formally cancelled the long-delayed Operazione C3 against Malta on 14 July 1942 and alerted the 185th “Folgore” Division to move to Egypt. Ramcke would not accompany them, at least not as an observer: At about the same time, he received orders from Gen. Kurt Student, commander of the German paratroop establishment, to collect a brigade of airborne troops to move to Africa along with Folgore. One of the rare German generals who spoke Italian fluently, Ramcke seems to have been even rarer in enjoying a genuine mutual liking and respect with his Italian colleagues. Ramcke’s scratch unit had four battalions of parachute infantry, all originally intended for the Malta operation. Battalion Kroh, formerly the 1st Battalion of the 2nd Parachute Regiment, had recently fought in Russia and just moved to the Mediterranean theater. Battalion Huebner had just been formed, and had been intended to become the 2nd Battalion of the 5th Parachute Regiment. 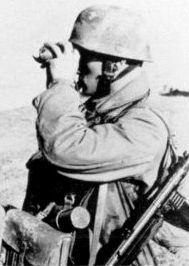 Battalion Burkhardt had been a Lehr battalion, one of the demonstration units of long-service professionals the German armed forces used to show techniques to other units and experiment with new weapons and tactics. Finally, Battalion Von der Heydte had just been formed as a new unit. Ramcke also drew a parachute artillery battalion, the former 2nd Battalion of the 7th Flieger Division’s artillery regiment, and an anti-tank company, a signal company and an engineer company. They arrived at the Alamein position in mid-August, greatly raising Rommel’s morale. He positioned them alongside Folgore, and immediately committed them to his new offensive, that became known as the Battle of Alem Halfa. Ramcke’s troops fought in mixed battle groups alongside Folgore battalions and battalions from the Italian Brescia Division and the German 90th Light Division. They suffered serious casualties in a counter-attack by the 2nd New Zealand Division, and the offensive ground to a halt. Rommel blamed the Italians for handing over his battle plans, as was his way with all his failures, but he had become predictable and the British had established logistical superiority in the theater. While the Axis was limited to bringing in light infantry formations like Ramcke’s or Folgore, hundreds of modern tanks had joined the British order of battle. They struck the Axis line at the very end of September, in the Folgore sector, but the paratroopers fought them off in hand-to-hand fighting. British Gen. Bernard Law Montgomery now refocused his attack well north of the two parachute units. The British broke through the Afrika Korps’ lines just south of the coast, and after heavy fighting Rommel ordered a general retreat. Germany’s hero ordered the Italian 132nd “Ariete” Armored Division to“fight to the last shot” while the German motorized divisions fled along the coastal highway toward Libya behind this sacrificial screen. The non-motorized Italian units would be left behind as well. in the Western Desert, 1942. Positioned far from any German unit and lacking motorized transport just like its Italian neighbors, Ramcke’s brigade found itself written off by Rommel. Ramcke gathered his men and marched westward, sure he would have to surrender eventually but determined to put that moment off as long as possible. Along the way, his men stumbled on a British supply convoy stocked with food and cigarettes. Mounting up, the paratroopers raced off to rejoin Rommel. About 600 of them made it back to German lines, and the remnants of the brigade finally surrendered in Tunisia in May 1943. Ramcke escaped to be promoted to command 2nd Parachute Division, which he led during its brief deployment in Russia in 1943. The American landings in Normandy in 1944 found him again serving under Rommel with his division, and he commanded German troops in Brest after that key port was surrounded by the Americans. Again refusing to surrender until the last possible moment, he did not give up until American riflemen brought his headquarters under fire. 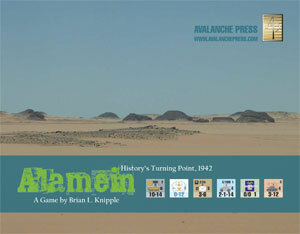 In our Alamein game, Ramcke has one of the best tactical ratings of any leader. His troops have excellent morale; the “7” rating is the game’s highest. Their combat factors are quite good for the most part, but they lack motorized transport and much of an anti-tank capability.